Freeze like an ice... er, you know. 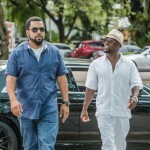 Much like its predecessor, Ride Along 2 hints at the chemistry between a scowling Ice Cube and motormouth Kevin Hart, but does little to capitalize on it. Restricted by a recycled buddy cop plot – or better, several recycled buddy cop plots – the two leads are trapped inside the tropes, zipping from one contrivance to the next with no time to foster a workable, or comedic, quarrelsome relationship. There are occasional chuckles to be had from the duo milking the stale material for all it’s worth, which isn’t much. 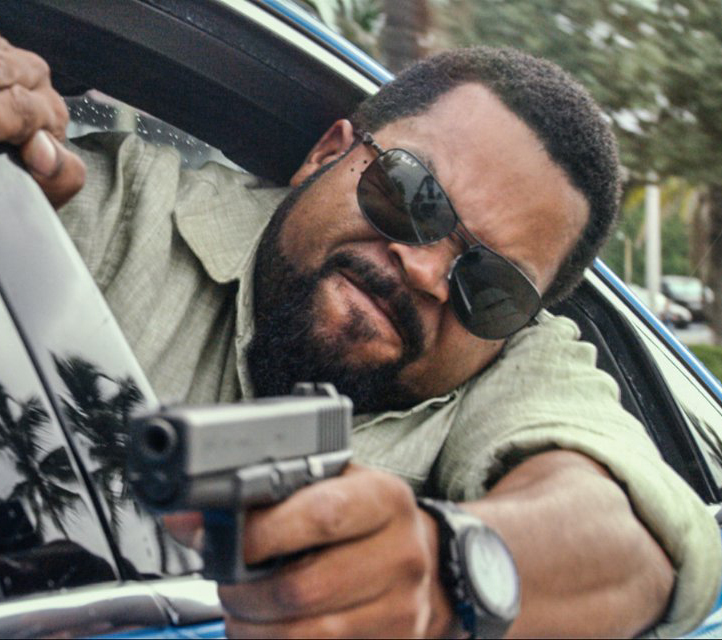 Ice Cube is hardened Atlanta detective James Payton, whose local drug case leads to a connection in Miami. Now a rookie cop, Ben (Hart) annoyingly implores James to let him tag along to South Florida. At first refusing, James illogically sees this as an opportunity for Ben to screw up and jeopardize his policing career, so off to Miami the odd couple goes. Saying goodbye to Ben’s fiancé (Tika Sumpter), who is also James’ sister, a week away from the wedding, the “brothers in law”— Ben’s self-appointed team handle – set out on a bland investigation filled with zero surprises or interesting allies or villains. Generically monikered “hacker” A.J. (Ken Jeong) and homicide detective Maya (Olivia Munn) join the team as a scheme involving beloved businessman Antonio Pope (Benjamin Bratt) is uncovered. 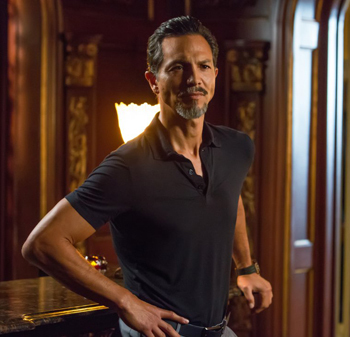 That nobody realizes immediately that a heavily bodyguarded, goateed, well-dressed, sunglasses-wearing rich guy named “Antonio Pope” is a criminal mastermind is beyond me. 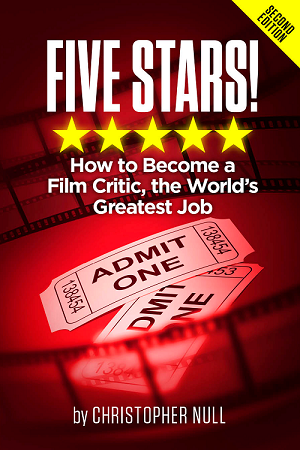 Even more curious is the movie’s insistence on dragging out the caper element, content to paint by the numbers and allow its capable cast to remain in tedious clue-following mode until a quick reveal and nearly-as-quick final confrontation. Jeong is refreshingly subdued and has a couple of funny moments while bonding with Hart, but he’s there to be an informant for the audience just as much as the detectives, as well as use technology when needed to get the crew, and the screenwriters, out of jams. Munn is introduced as a no-nonsense tough chick, though there’s really no follow-through on that. She’s reduced to something of a narrative multi-tool, used as a potential love interest, exposition machine, bait for the bad guy, and convenient extra gun during shootouts, among other things. Though that may sound like a rich, well-rounded character, any vivacity is hidden behind plodding artifice. 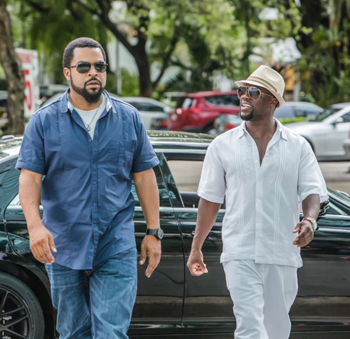 What Ride Along 2 doesn’t bother to hide is its unoriginality. There are echoes of other, better action-comedy/crime/buddy cop movies from the opening scene, which involves an undercover sting as ruffians congregate around showy cars. If that weren’t enough to remind us of the Fast and Furious films, Tyrese Gibson cameos as James’ partner. The ensuing action isn’t nearly as gleefully ridiculous as any of the Furious set pieces. Worse than failing to reach the bar set by its influences, it’s never clear if director Tim Story is intending to emulate, pay homage to, or parody. Several gunshots and explosions are played straight and don’t dovetail with Hart’s screechy outbursts or moments of levity during the chaos. In one high-speed chase sequence as video-game enthusiast Ben evades pursuers, real carnage is intercut with a rendering of the scene as digital reproduction, with the action and comedy cannibalizing instead of augmenting each other. The mixture is an odd one and emblematic of the failure to reach the potential of the Hart/Ice Cube pairing, which isn’t given the chance to approach the likes of Gibson/Glover or Murphy/Nolte.